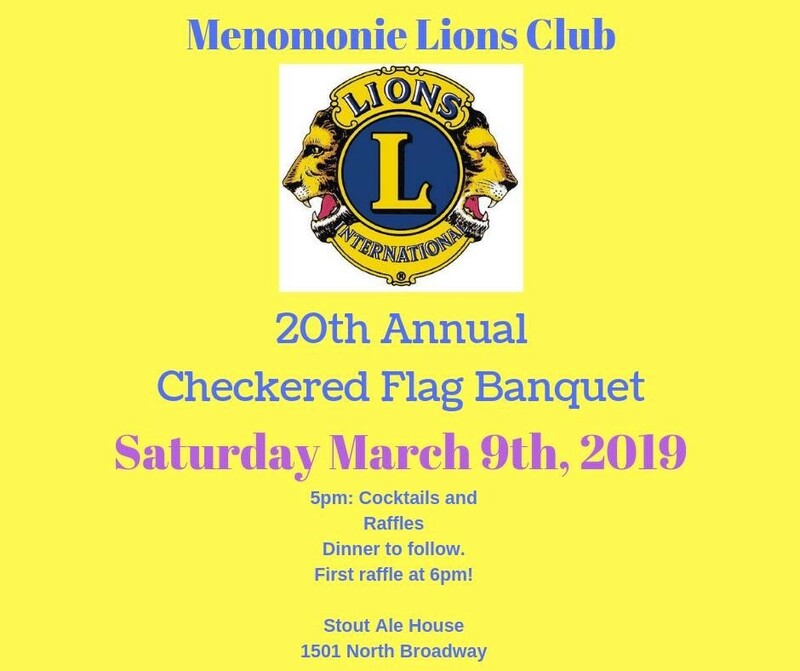 The 2019 Menomonie Lions Club Checkered Flag Banquet will be held on Saturday March 9th, 2019. Doors will open at 5:00 PM for cocktails and raffles. The first raffle drawing will be held at 6 PM.